This is more of a figure than a face but which downtown building holds this little guy? I know this new feature was supposed to Mystery Faces but for this week, it will not be a mystery face but a myster-Y! 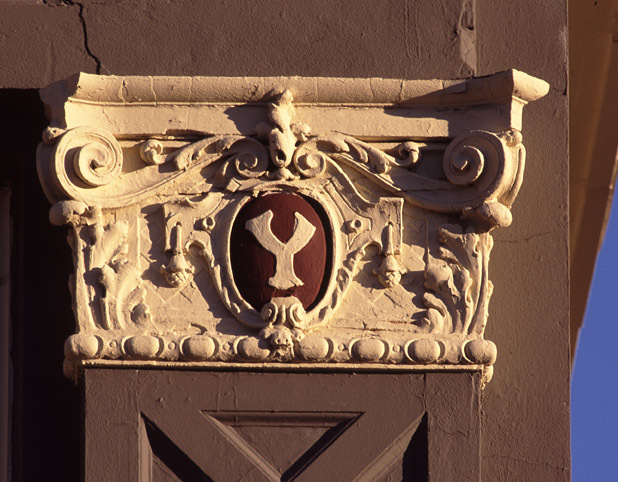 This Capital “Y” is one of several letters on the pilaster capital of a lower east side building. This could be a difficult mystery so more clues will be forthcoming if nobody guesses in the meantime! Welcome back after a short holiday hiatus! 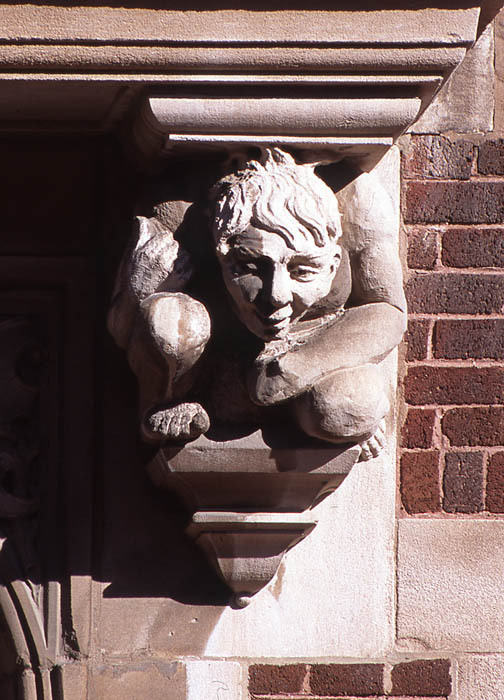 This week’s mystery face is a gargoyle on the side of a east side building. The red color should be a clue if you are smart and educated! 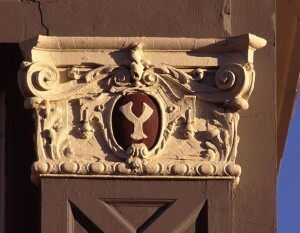 Where is this face located? The face of a dragon sits on the top of this downtown building. Where can you find this scary creature? 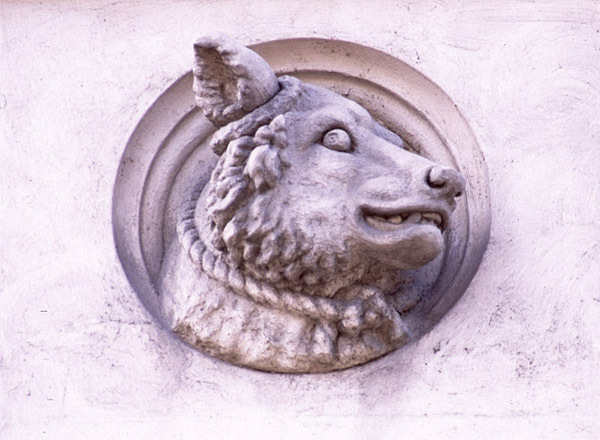 Today’s mystery face is an animal face located on a downtown building. This smiling sheep looks down on the street but which street? And what is the building is he located? 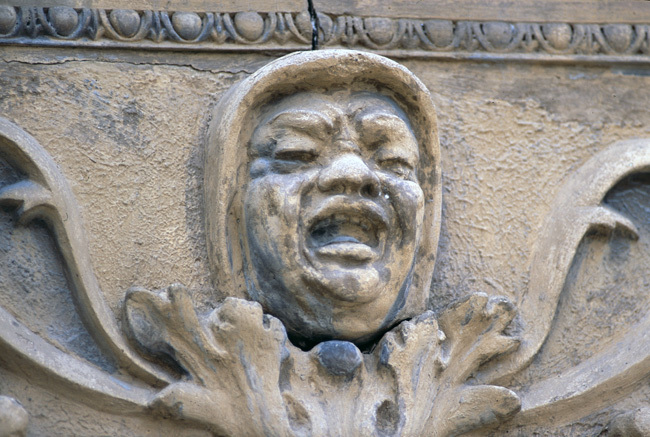 Today’s mystery face is again on a downtown building and portrays a grimacing man. It’s hard to tell if he is happy or in pain! I like to think he is happy and heard the funniest joke! 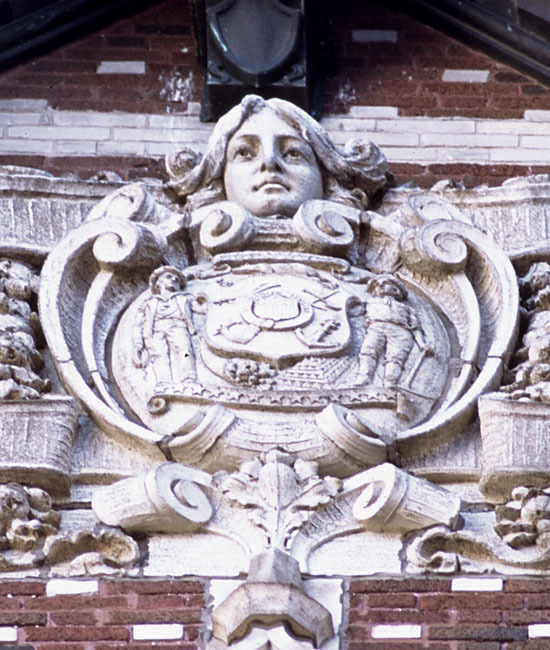 Which building is this face on? 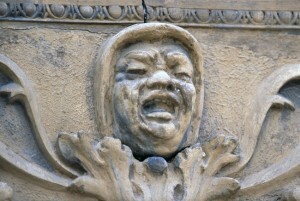 This week’s mystery photo will be a new series of faces that can be found on Milwaukee buildings. The face shown below is on a downtown building and shows a woman’s face above the shield of the State of Wisconsin. 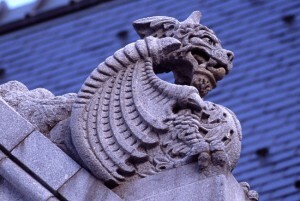 What building is this face on? 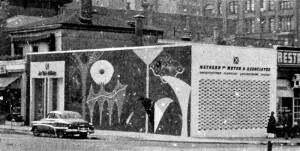 The holiday mystery picture is from the 1960s and shows a funky building downtown that now looks much different. This view looks southwest and the building is still there. 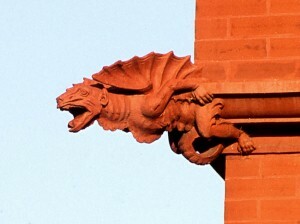 Any guesses as to what this building is now and where this is? 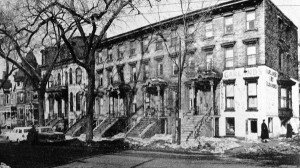 This week’s mystery shows a downtown building as it looked in the early part of the 20th century. 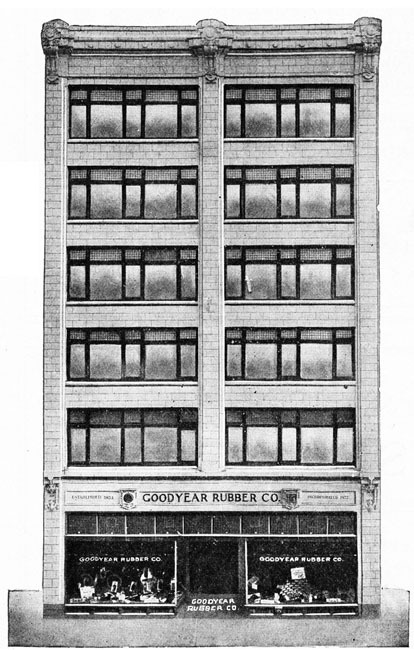 The building housed Goodyear Rubber offices and a store. This building was located in the heart of downtown. 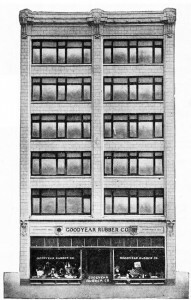 The building suffered a major blaze in 1913 which killed eight people. Are there any ideas where this building was located? This mystery view looks north at some older apartment buildings as they looked in the early 1960s shortly before they were demolished as part of an urban renewal project. They were replaced with apartment buildings and this was located somewhere on the edge of downtown. Are there any guesses as to where the mystery photo was?